We all know that writing is difficult. Even native speakers make mistakes. However, there are three common sentence errors that are easy to avoid. In this article I will show you how to recognize them and fix them. This is a big mistake, and yet it is quite common among English learners. It means that you are using a dependent (or subordinate) clause as a simple sentence. In fact, only independent clauses can function as simple sentences. What is the difference? Both independent and dependent clauses may have subjects and verbs, but an independent clause is a complete thought, whereas the dependent clause is unfinished. While we were eating, there was a knock at the door. She gave me a lift to work, which was really helpful. He put on a sweater because he felt cold. Hint: It’s really easy to avoid sentence fragments when typing on a computer because Microsoft Word will highlight the error with a green line! The dog is hungry, he wants food. They are coming over later, but I won’t be around. It’s eight o’clock; I’m exhausted. It’s getting dark outside; therefore, you should be careful when out walking. Note: In order to use the semi-colon alone, the two clauses should be very closely related, or else the sentence will sound strange. A run-on sentence is a sentence lacking the correct punctuation. More specifically, it is when two independent clauses are connected without a comma, semi-colon, or conjunction. It’s getting late now you should go home. It’s getting late now. You should go home. It’s getting late now; you should go home. It’s getting late now, so you should go home. It’s getting late now; as such, you should go home. You should go home, for it’s getting late now. You should go home because it’s getting late now. All of those are correct! However, note there are some tiny changes in meaning by reversing the sentence order or changing from compound to complex sentence structure. Of course, these are not the only errors that can be made in writing. Common mistakes also include other areas of punctuation, spelling, grammar, and so on. 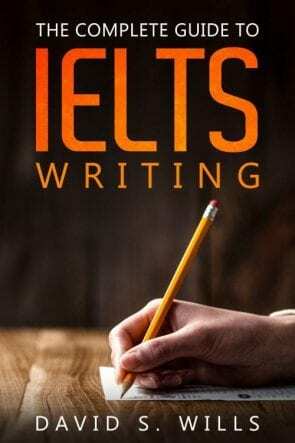 However, if you can learn to recognize and fix the above three mistakes, you will greatly improve your writing skills and help boost your IELTS writing score.